Posted March 3rd, 2015 by admin & filed under Uncategorized. 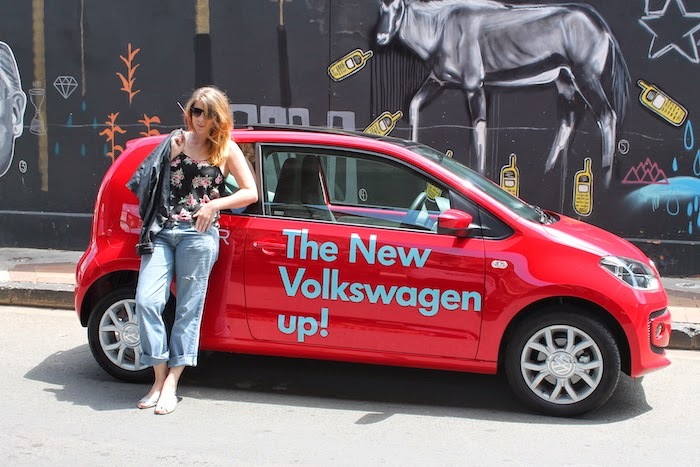 On Friday, I betrayed my trusty old steed, Bliksaspaai, and got into the lap of a cherry red Volkswagen Up! Even though they are similar in size, my 2005 model lacked sorely in comparison, and I didn’t feel too bad about leaving it behind in the garage. It was just for one day! And although this little firetruck Up! is only 3 m long – guys, it is tiny on the outside – I found myself having to scoot my seat closer to the pedals to reach. And I am a tall 1.78 m! And guys, get this, especially for those who can’t multitask, if your radio is blaring and you put it into reverse, it automatically lowers the volume of the radio. As soon as it’s back in first gear, the radio starts playing at the volume you had it. This is THE perfect car for the city, especially where there is limited parking and also, sigh, parallel parking. Luckily, it comes with rear park assist, which beeps to warn you if you are about to bump into something. And the boot, ladies, the boot is huge! You can still shop up a storm and fit all your goodie bags in the rear. Now, while I might not be a petrolhead, I did find one thing about the Up! that I didn’t like, it didn’t go fast enough and its acceleration was quite slow on the uptake. I guess this makes it all the more perfect for city slickers, as you are stuck in traffic most of the time and don’t need to go fast. Besides, who cares about city traffic when you in this cool little thing! I sure love this nippy little car! 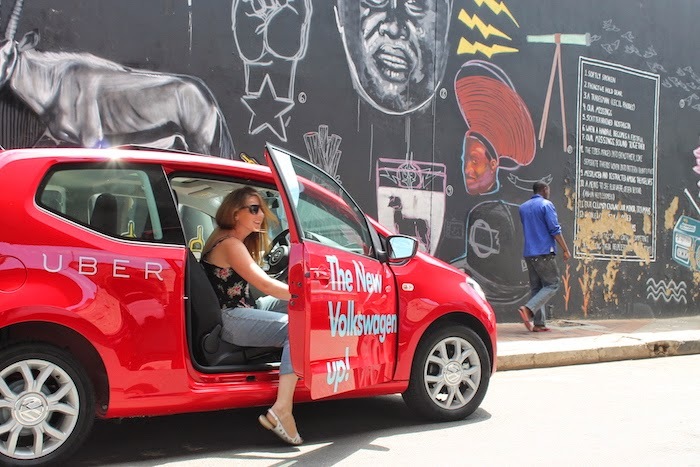 As you may have seen or heard on the radio, taxi company Uber is offering free rides in the Up! between March 2 and March 8. Your chaffeur might even be a famous face! Party, party, party! All you have to do is sign up for Uber and download the free app, next you need to enter the promo code UBERUP to unlock the unique UberUp view. 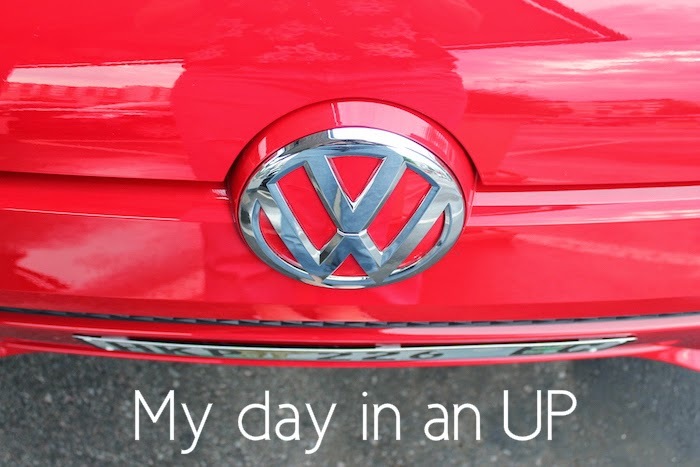 Toggle over the VW icon and request a ride as one does. This is valid in Joburg, Pretoria, CT and Durbs and only for trips that are about 20 km in distance. What are you waiting for? Get Up!